Do the books ever specify whether or not another ship of this make exists? Or is it truly unique? Maybe a long time ago in a galaxy far far away manufacturers made single one-off units, but here that's kind of rare for something you'd assume to be pretty costly to build. The Millenium Falcon is not unique; it was a model YT-1300f Corellian light freighter. This implies that there are other similar ships, including other variations on the YT-1300 model. You can find a lot of information about the Millennium Falcon in a companion book, Star Wars: The Force Awakens: Incredible Cross-Sections. 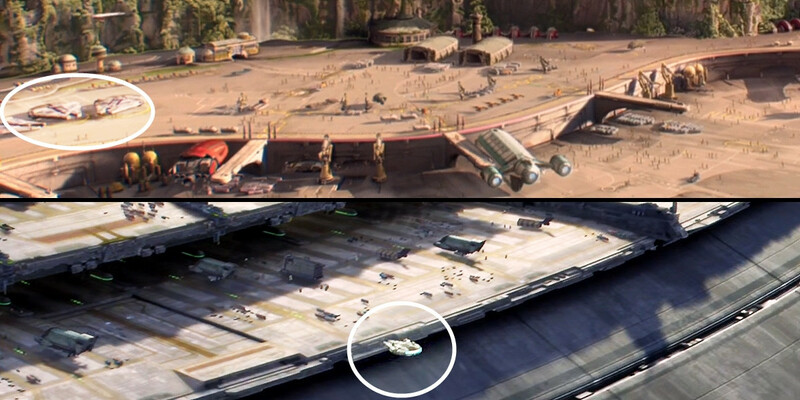 The model number also appears on-screen at least once: in Star Wars: Rebels episode "Fighter Flight" on a poster. Note, however, that the Millenium Falcon has been highly customized; some of the custom work is mentioned in The Force Awakens. It's not clear just how much of the ship is stock and how much is custom. 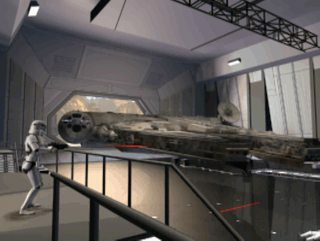 If you're willing to go outside Canon into Legends, the model number of the ship, and other similar Corellian light freighters, can be seen in some of the video games, and there is an entire novel called Millennium Falcon that details its history. The ship was serial #YT-1300 492727ZED, one of many such vessels, but from the beginning the ship was shown to have some "quirks" to distinguish it from its counterparts. In Legends, the ship was also destroyed and rebuilt from scratch at least once, so it's arguable as to whether it's still the same ship or not. As has been mentioned, the Millenium Falcon is a highly modified YT-1300f freighter. 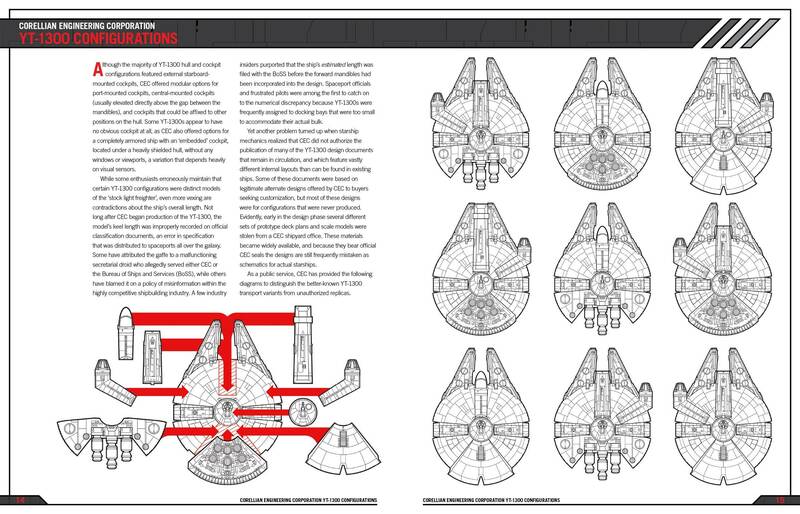 There is an official Millennium Falcon Haynes Manual. The first part of the book discusses all the models of the YT-1300 Corellian Freighter which are available for purchase and later on it goes into specifics about the actual Millennium Falcon and its modifications. In the 4th picture on Amazon (shown below) you can see the level of detail which has been made for the book. It shows some of the many configurations in which you can get your very own freighter. REY: (surprised) This is the Millenium Falcon! This is the ship that did the Kessel Run in 14 parsecs! She knows what a YT-1300 Correlian freighter looks like. She knows the Millenium Falcon was a YT-1300. Yet she didn't suspect that the ship in the junkyard was the Millenium Falcon. Therefore, it must be that the Millennium Falcon is not unique. It has a lightspeed engine that can shorten distances next to gravity wells ("It made the Kessel run in under 12 parsecs"). In the novels, this is taken to mean that a better lightspeed engine can go closer to stars and take shorter paths than would be possible with a lesser engine. Very useful for getting away from Imperial Star Destroyers. It's not clear if he won it that way or modified it himself. But all this implies that it's a standard cargo ship that has been specially modified for smuggling. I hope I am doing this correctly, to point to an existing question-and-answer. Not literally a duplicate, but in effect the substance has been covered. The sense of this question was addressed in the discussion of another that was answered at 'What is the Millennium Falcon’s hull and structure made of?'. It involves the Haynes Manual, as has been mentioned here. The essence is that the Falcon is no more a one-off in production terms than any other YT-1300, in the sense that multiple design options were so flexible to start with that the term doesn't really apply. All of the YT-1300s were sort-of one-offs, therefore, but this particular one seems to have become even-more-unique (tm) over time since manufacture. 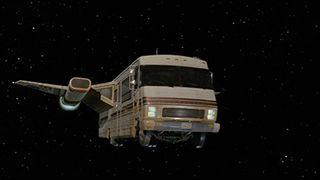 In Heir to the Empire (part of the Empire trilogy by Timothy Zahn) the Nogrhi commandos use a YT-1300 to try to trick Han and Leia so they can kidnap them. Han expresses genuine surprise that they've been able to find the same make and model. “What?” Wedge asked, his jaw dropping a couple of centimeters. the Falcon appeared to be no different from the thousands of other Corellian Engineering YT-1300 light freighters plying the star routes of the Empire. 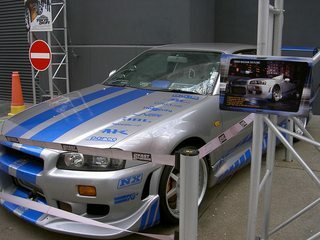 So from that it would appear that it's a mass-produced vehicle. Also, the Outrider piloted by Dash Rendar (in various EU Novels and games) appears to be a later model in the YT series of ships as this is listed as a YT-2400 light freighter.